The firm has has received four reports of batteries overheating, melting or igniting, resulting in minor property damage in two instances, and melting of the battery case in the others. No injuries have been reported. 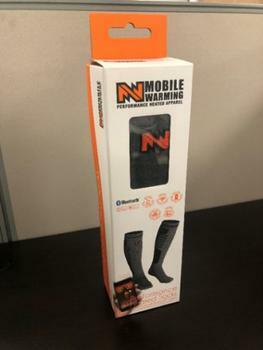 This recall involves Mobile Warming Performance Heated Socks sold with lithium-ion batteries. Only socks with serial number MW18A04-17-14, MW18A04-17-15, MW18A04-M4-10/W6-11 and MW18A04-M10-14 are included in the recall. These socks are gray and made of a poly-cotton blend in men’s and women’s size 6-10 and 10-14. The socks heat when the battery is connected and is in the on position. The heating on/off is controlled through the battery switch or the phone app when a phone is paired. The socks, manufactured in China, were sold at Scheels and other sporting goods, workwear and farm supply stores nationwide and online at www.mobilewarming.com and www.Amazon.com from September 2018, through November 2018, for about $130. Consumers may contact Tech Gear 5.7 toll-free at (888) 908-6024 from 7 a.m. to 5 p.m. (PT) Monday through Friday, by email at cs@techgear5-7.com or online at www.mobilewarming.com and click on “Recall Information” at the bottom of the page for more information.